Trading is like building a house–you gotta have the right tool for the job at hand. So let’s put more tools in our tool box! Congratulations on making it to the 5th grade! 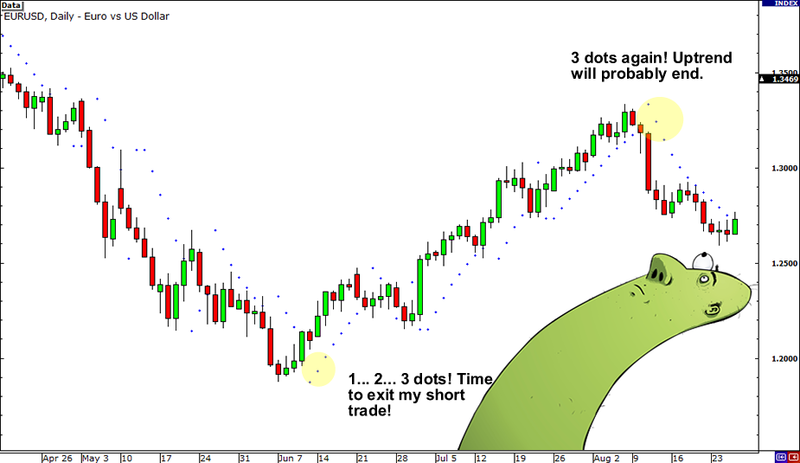 Each time you make it to the next grade you continue to add more and more tools to your trader’s toolbox. “What’s a trader’s toolbox?” you ask. Let’s compare trading to building a house. You wouldn’t use a hammer on a screw, right? Nor would you use a buzz saw to drive in nails. There’s a proper tool for each situation. Or if you want to focus on a few specific trading environments or tools, that’s cool too. It’s good to have a specialist when installing your electricity or plumbing in a house, just like it’s cool to be a Bollinger Band or Moving Average specialist. There are a million different ways to grab some pips! For this lesson, as you learn about these indicators, think of each as a new tool that you can add to that toolbox of yours. You might not necessarily use all of these tools, but it’s always nice to have plenty of options, right? You might even find one that you understand and comfortable enough to master on its own. Now, enough about tools already! 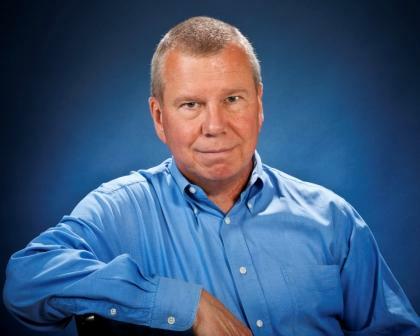 Bollinger Bands, a chart indicator developed by John Bollinger, are used to measure a market’s volatility. Basically, this little tool tells us whether the market is quiet or whether the market is LOUD! When the market is quiet, the bands contract and when the market is LOUD, the bands expand. Notice on the chart below that when price is quiet, the bands are close together. When price moves up, the bands spread apart. By looking at the chart below, can you tell us where the price might go next? If you said down, then you are correct! As you can see, the price settled back down towards the middle area of the bands. What you just saw was a classic Bollinger Bounce. 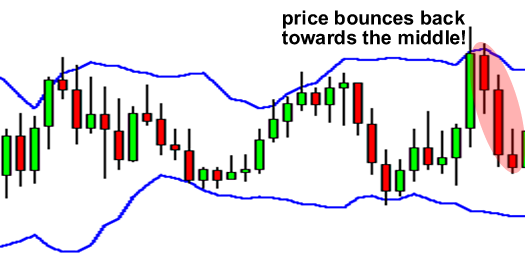 The reason these bounces occur is because Bollinger bands act like dynamic support and resistance levels. The longer the time frame you are in, the stronger these bands tend to be. Many traders have developed systems that thrive on these bounces and this strategy is best used when the market is ranging and there is no clear trend. The “Bollinger Squeeze” is pretty self-explanatory. When the bands squeeze together, it usually means that a breakout is getting ready to happen. 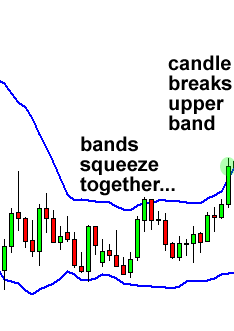 If the candles start to break out above the TOP band, then the move will usually continue to go UP. If the candles start to break out below the BOTTOM band, then price will usually continue to go DOWN. 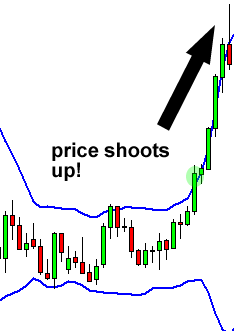 This is how a typical Bollinger Squeeze works. This strategy is designed for you to catch a move as early as possible. Setups like these don’t occur every day, but you can probably spot them a few times a week if you are looking at a 15-minute chart. 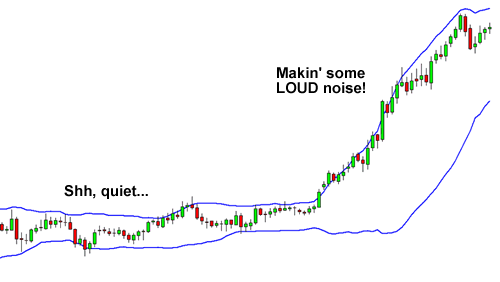 There are many other things you can do with Bollinger Bands, but these are the two most common strategies associated with them. 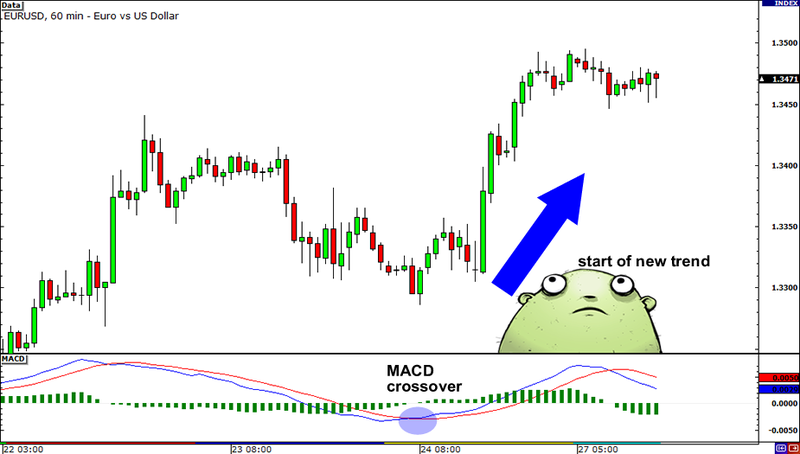 MACD is an acronym for Moving Average Convergence Divergence. This tool is used to identify moving averages that are indicating a new trend, whether it’s bullish or bearish. After all, our top priority in trading is being able to find a trend, because that is where the most money is made. The first is the number of periods that is used to calculate the faster-moving average. And the third is the number of bars that is used to calculate the moving average of the difference between the faster and slower moving averages. The 12 represents the previous 12 bars of the faster moving average. The 26 represents the previous 26 bars of the slower moving average. The 9 represents the previous 9 bars of the difference between the two moving averages. This is plotted by vertical lines called a histogram (the green lines in the chart above). There is a common misconception when it comes to the lines of the MACD. The two lines that are drawn are NOT moving averages of the price. Instead, they are the moving averages of the DIFFERENCE between two moving averages. In our example above, the faster moving average is the moving average of the difference between the 12 and 26-period moving averages. The slower moving average plots the average of the previous MACD line. Once again, from our example above, this would be a 9-period moving average. This means that we are taking the average of the last 9 periods of the faster MACD line and plotting it as our slower moving average. This smoothens out the original line even more, which gives us a more accurate line. The histogram simply plots the difference between the fast and slow moving average. If you look at our original chart, you can see that, as the two moving averages separate, the histogram gets bigger. This is called divergence because the faster moving average is “diverging” or moving away from the slower moving average. As the moving averages get closer to each other, the histogram gets smaller. This is called convergence because the faster moving average is “converging” or getting closer to the slower moving average. And that, my friend, is how you get the name, Moving Average Convergence Divergence! Whew, we need to crack our knuckles after that one! Ok, so now you know what MACD does. Now we’ll show you what MACD can do for YOU. Because there are two moving averages with different “speeds”, the faster one will obviously be quicker to react to price movement than the slower one. When a new trend occurs, the fast line will react first and eventually cross the slower line. When this “crossover” occurs, and the fast line starts to “diverge” or move away from the slower line, it often indicates that a new trend has formed. From the chart above, you can see that the fast line crossed under the slow line and correctly identified a new downtrend. Notice that when the lines crossed, the histogram temporarily disappears. This is because the difference between the lines at the time of the cross is 0. As the downtrend begins and the fast line diverges away from the slow line, the histogram gets bigger, which is good indication of a strong trend. In EUR/USD’s 1-hour chart above, the fast line crossed above the slow line while the histogram disappeared. This suggested that the brief downtrend would eventually reverse. From then, EUR/USD began shooting up as it started a new uptrend. Imagine if you went long after the crossover, you would’ve gained almost 200 pips! There is one drawback to MACD. Naturally, moving averages tend to lag behind price. After all, it’s just an average of historical prices. Since the MACD represents moving averages of other moving averages and is smoothed out by another moving average, you can imagine that there is quite a bit of lag. However, MACD is still one of the most favored tools by many traders. Up until now, we’ve looked at indicators that mainly focus on catching the beginning of new trends. Although it is important to be able to identify new trends, it is equally important to be able to identify where a trend ends. After all, what good is a well-timed entry without a well-timed exit? One indicator that can help us determine where a trend might be ending is the Parabolic SAR (Stop And Reversal). 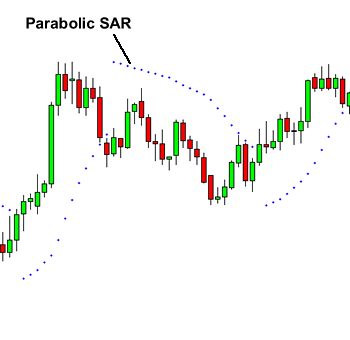 A Parabolic SAR places dots, or points, on a chart that indicate potential reversals in price movement. From the image above, you can see that the dots shift from being below the candles during the uptrend to above the candles when the trend reverses into a downtrend. The nice thing about the Parabolic SAR is that it is really simple to use. We mean REALLY simple. Basically, when the dots are below the candles, it is a BUY signal. When the dots are above the candles, it is a SELL signal. Yes, we thought so. This is probably the easiest indicator to interpret because it assumes that the price is either going up or down. With that said, this tool is best used in markets that are trending, and that have long rallies and downturns. You DON’T want to use this tool in a choppy market where the price movement is sideways. You can also use Parabolic SAR to help you determine whether you should close your trade or not. Check out how the Parabolic SAR worked as an exit signal in EUR/USD’s daily chart below. When EUR/USD started sliding down in late April, it seemed like it would just keep droppin’ like a rock. A trader who was able to short this pair has probably wondered how low it’d continue to go. In early June, three dots formed at the bottom of the price, suggesting that the downtrend was over and that it was time to exit those shorts. If you stubbornly decided to hold on to that trade thinking that EUR/USD would resume its drop, you would’ve probably erased all those winnings since the pair eventually climbed back near 1.3500. 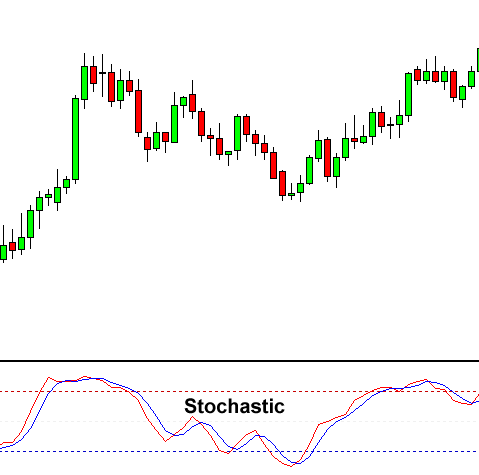 The Stochastic oscillator is another forex chart analysis indicator that helps us determine where a trend might be ending. This simple momentum oscillator was created by George Lane in the late 1950s. Stochastics measures the momentum of price. If you visualize a rocket going up in the air – before it can turn down, it must slow down. Momentum always changes direction before price. While he originally designed the oscillator to follow the speed or momentum of price, it’s now more popularly used to identify overbought and oversold conditions. The 2 lines are similar to the MACD lines in the sense that one line is faster than the other. As we said earlier, the Stochastic tells us when the market is overbought or oversold. The Stochastic is scaled from 0 to 100. When the Stochastic lines are above 80 (the red dotted line in the chart above), then it means the market is overbought. When the Stochastic lines are below 20 (the blue dotted line), then it means that the market is oversold. As a rule of thumb, we buy when the market is oversold, and we sell when the market is overbought. Looking at the currency chart above, you can see that the indicator has been showing overbought conditions for quite some time. Based on this information, can you guess where the price might go? If you said the price would drop, then you are absolutely correct! Because the market was overbought for such a long period of time, a reversal was bound to happen. That is the basics of the Stochastic. 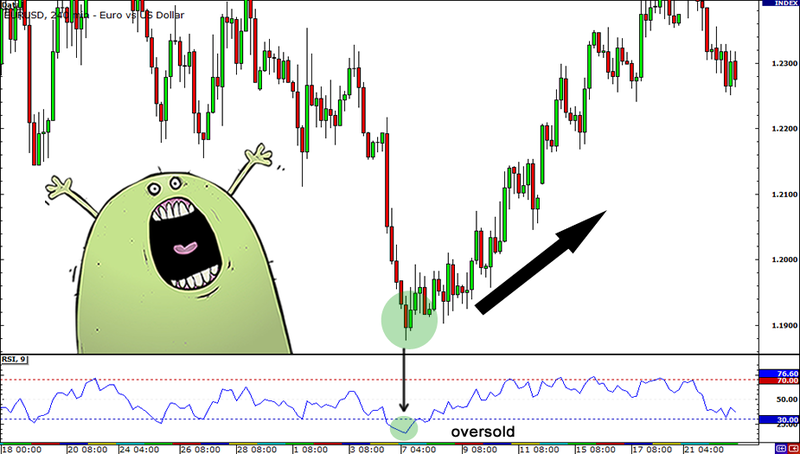 Many forex traders use the Stochastic in different ways, but the main purpose of the indicator is to show us where the market conditions could be overbought or oversold. 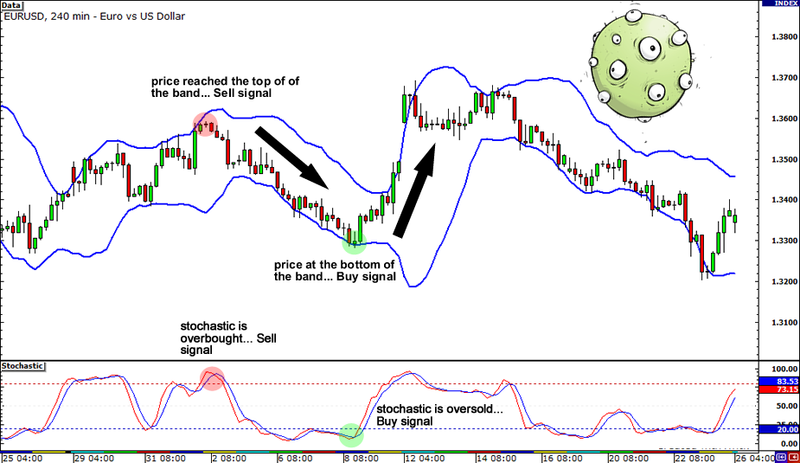 Over time, you will learn to use the Stochastic to fit your own personal forex trading style. 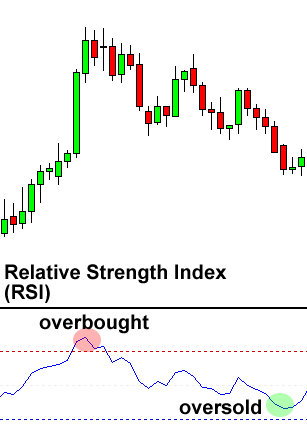 Relative Strength Index, or RSI, is a popular indicator developed by a technical analyst named J. Welles Wilder. 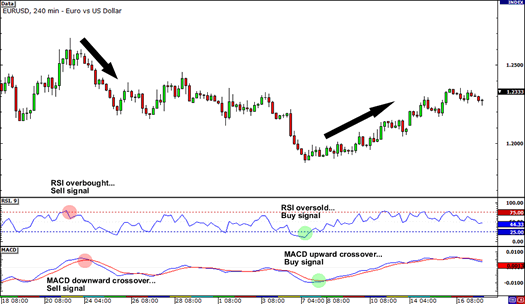 RSI is similar to the stochastic in that it identifies overbought and oversold conditions in the market. It is also scaled from 0 to 100. Typically, readings below 30 indicate oversold market conditions. Readings over 70 indicate overbought conditions. 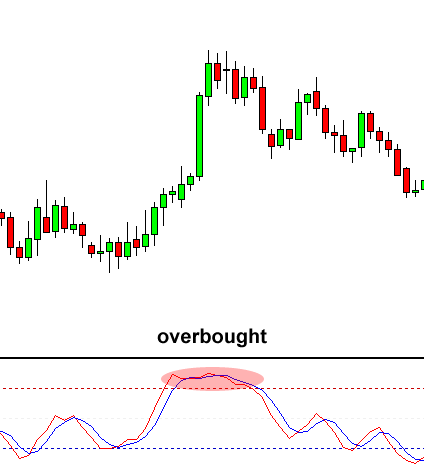 RSI can be used just like the stochastic. We can use it to pick potential tops and bottoms depending on whether the market is overbought or oversold. Below is a 4-hour chart of EUR/USD. EUR/USD had been dropping the week, falling about 400 pips over the course of two weeks. On June 7, it was already trading below the 1.2000 handle. However, RSI dropped below 30, signaling that there might be no more sellers left in the market and that the move could be over. Price then reversed and headed back up over the next couple of weeks. 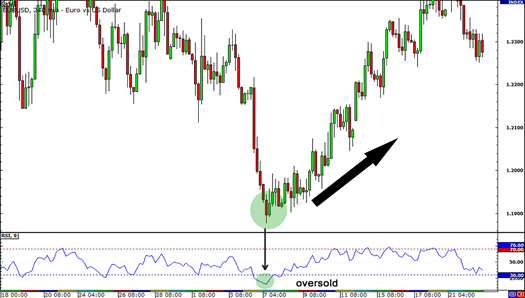 RSI is a very popular tool because it can also be used to confirm trend formations. If you think a trend is forming, take a quick look at the RSI and look at whether it is above or below 50. If you are looking at a possible UPTREND, then make sure the RSI is above 50. If you are looking at a possible DOWNTREND, then make sure the RSI is below 50. In the beginning of the chart above, we can see that a possible downtrend was forming. To avoid fakeouts, we can wait for RSI to cross below 50 to confirm our trend. Sure enough, as RSI passes below 50, it is a good confirmation that a downtrend has actually formed. The Average Directional Index, or ADX for short, is another example of an oscillator. It fluctuates from 0 to 100, with readings below 20 indicating a weak trend and readings above 50 signaling a strong trend. 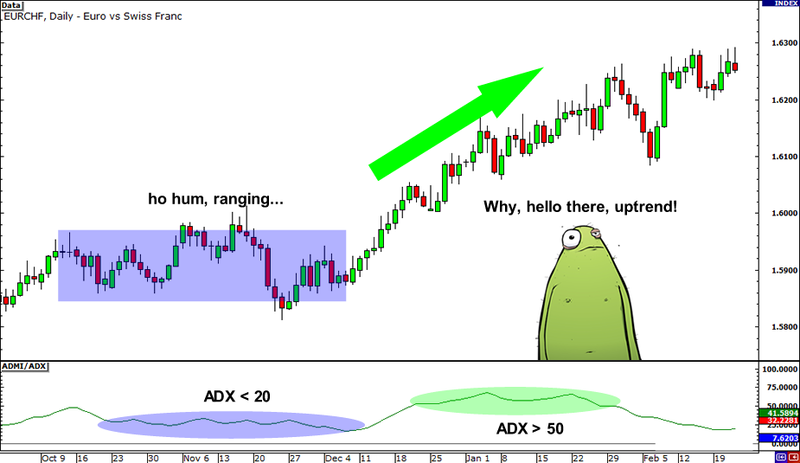 Unlike the stochastic, ADX doesn’t determine whether the trend is bullish or bearish. Rather, it merely measures the strength of the current trend. Because of that, ADX is typically used to identify whether the market is ranging or starting a new trend. In this first example, ADX lingered below 20 from late September until early December. As you can see from the chart, EUR/CHF was stuck inside a range during that time. 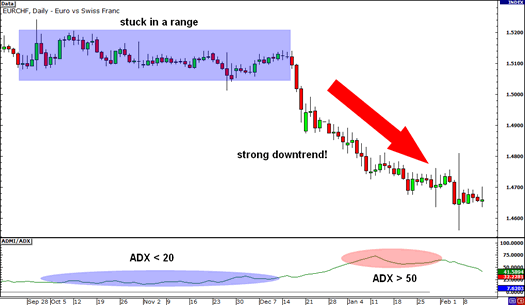 Beginning in January though, ADX started to climb above 50, signaling that a strong trend could be waiting in the wings. And would you look at that! EUR/CHF broke below the bottom of the range and went on a strong downtrend. Ooh, that’d be around 400 pips in the bag. Just like in our first example, ADX hovered below 20 for quite a while. At that time, EUR/CHF was also ranging. Soon enough, ADX rose above 50 and EUR/CHF broke above the top of its range. A strong uptrend took place. That’d be 300 pips, signed, sealed, and delivered! If there’s one problem with using ADX, it’s that it doesn’t exactly tell you whether it’s a buy or a sell. What it does tell you is whether it’d be okay to jump in an ongoing trend or not. Once ADX starts dropping below 50 again, it could mean that the uptrend or downtrend is starting to weaken and that it might be a good time to lock in profits. 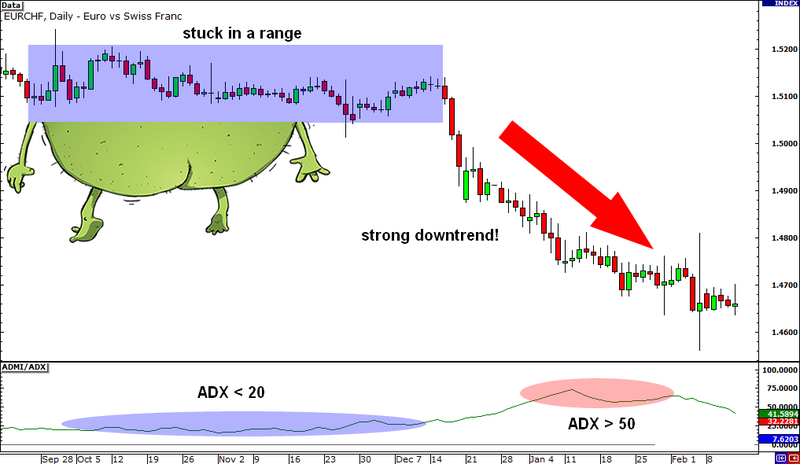 One way to trade using ADX is to wait for breakouts first before deciding to go long or short. ADX can be used as confirmation whether the pair could possibly continue in its current trend or not. 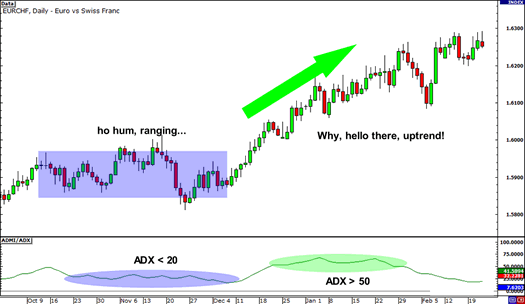 Another way is to combine ADX with another indicator, particularly one that identifies whether the pair is headed downwards or upwards. ADX can also be used to determine when one should close a trade early. For instance, when ADX starts to slide below 50, it indicates that the current trend is losing steam. From then, the pair could possibly move sideways, so you might want to lock in those pips before that happens. Yes, you’re still in the right place. You’re still in the School of Pipsology and not in some Japanese pop fangirl site (although Huck may disagree with the rest of the FX-Men on that). No, “Ichimoku Kinko Hyo” ain’t Japanese for “May the pips be with you.” but it can help you grab those pips nonetheless.Ichimoku Kinko Hyo (IKH) is an indicator that gauges future price momentum and determines future areas of support and resistance. Now that’s 3-in-1 for y’all! Also know that this indicator is mainly used on JPY pairs. Huh, what does all that mean? Whoops. That didn’t help. A few more lines and this’ll resemble a seismograph. Before you go off and call this gibberish, let’s try to find out what each of the lines is for. Kijun Sen (blue line): Also called standard line or base line, this is calculated by averaging the highest high and the lowest low for the past 26 periods. Tenkan Sen (red line): This is also known as the turning line and is derived by averaging the highest high and the lowest low for the past nine periods. Chikou Span (green line): This is called the lagging line. It is today’s closing price plotted 26 periods behind. Senkou Span (orange lines): The first Senkou line is calculated by averaging the Tenkan Sen and the Kijun Sen and plotted 26 periods ahead. The second Senkou line is determined by averaging the highest high and the lowest low for the past 52 periods and plotted 26 periods ahead. Got it? Well, it’s not really necessary for you to memorize how each of the lines is computed. What’s more important is for you to know how to interpret these fancy lines. 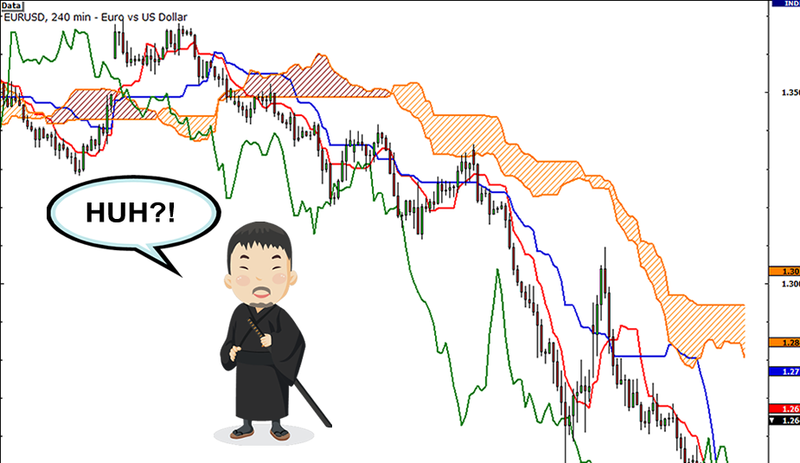 Meanwhile, the Kijun Sen acts as an indicator of future price movement. If the price is higher than the blue line, it could continue to climb higher. If the price is below the blue line, it could keep dropping. 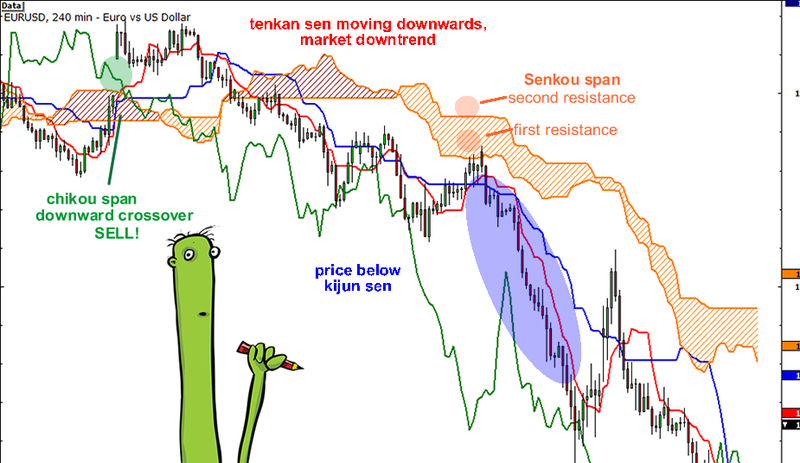 The Tenkan Sen is an indicator of the market trend. If the red line is moving up or down, it indicates that the market is trending. If it moves horizontally, it signals that the market is ranging. Lastly, if the Chikou Span or the green line crosses the price in the bottom-up direction, that’s a buy signal. If the green line crosses the price from the top-down, that’s a sell signal. Better yet, let’s combine some of these indicators and see how their trade signals pan out. In a perfect world, we could take just one of these indicators and trade strictly by what that indicator told us. The problem is that we DON’T live in a perfect world, and each of these indicators has imperfections. That is why many traders combine different indicators together so that they can “screen” each other. They might have 3 different indicators and they won’t trade unless all 3 indicators give them the same signal. 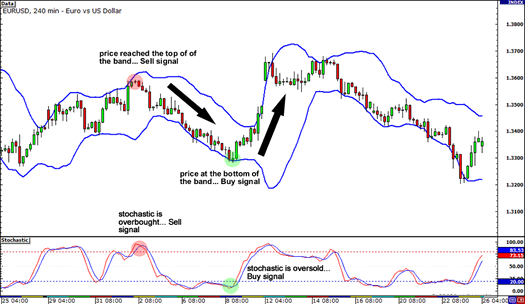 In this first example, we’ve got the Bollinger bands and the Stochastic on EUR/USD’s 4-hour chart. Since the market seems to be ranging or moving sideways, we’d better watch out for the Bollinger bounce. Check out that those sell signals from the Bollinger bands and the Stochastic. EUR/USD climbed until the top of the band, which usually acts as a resistance level. At the same time, the Stochastic reached the overbought area, suggesting that the price could drop down soon. EUR/USD fell by around 300 pips and you would’ve made a hefty profit if you took that short trade. Later on, the price made contact with the bottom of the band, which usually serves as a support level. This means that the pair could bounce up from there. With the Stochastic in the oversold area, it means we should go long. 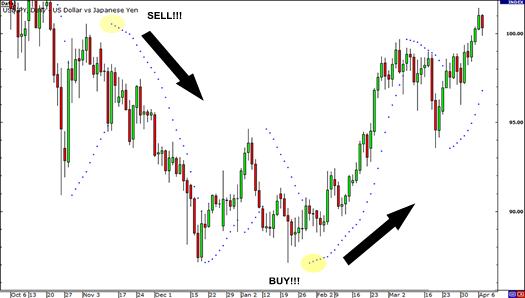 If you took that trade, you would have gotten around 400 pips! Not bad! Here’s another example, with the RSI and the MACD this time. 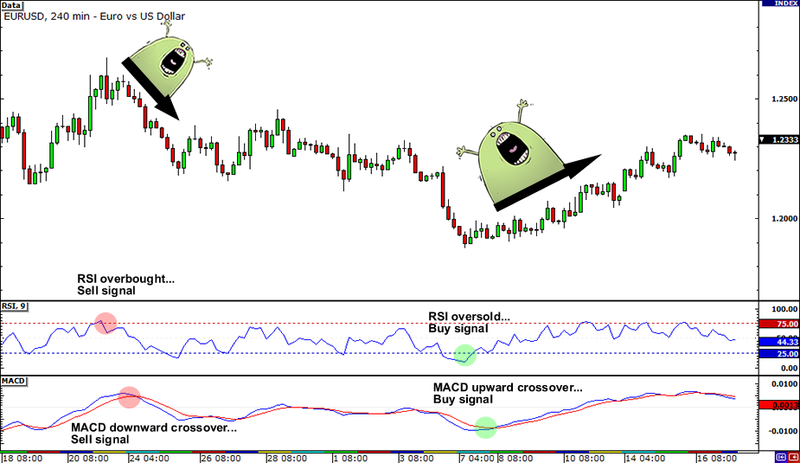 When the RSI reached the overbought area and gave a sell signal, the MACD soon followed with a downward crossover, which is also a sell signal. And, as you can see, the price did move downhill from there. 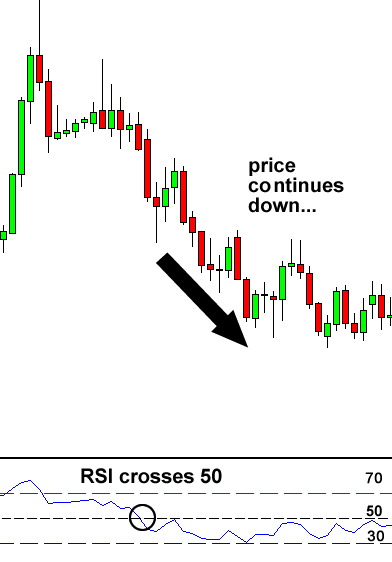 Later on, the RSI dipped to the oversold region and gave a buy signal. 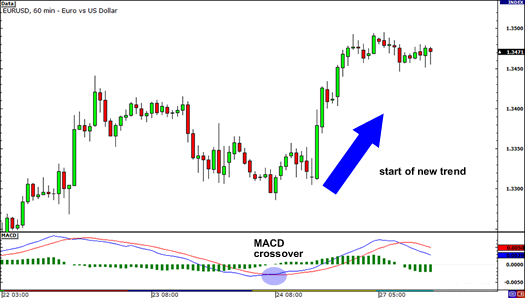 A few hours after, the MACD made an upward crossover, which is also a buy signal. From there, the price made a steady climb. More pips for us, yipee! You probably noticed in this example that the RSI gives signals ahead of the MACD. Because of the various properties and magic formulas for the technical indicators, some really do give early signals while others are a bit delayed. You’ll learn more about this in sixth grade. As you continue your journey as a trader, you will discover which indicators work best for you. We can tell you that we like using MACD, the Stochastic, and RSI, but you might have a different preference. Every trader out there has tried to find the “magic combination” of indicators that will give them the right signals all the time, but the truth is that there is no such thing. We urge you to study each indicator on its own until you know the tendencies of how it behaves relative to price movement, and then come up with your own combination that YOU understand and that fits your trading style. Now on to the good stuff: Just how profitable is each technical indicator on its own? In order to give y’all a comparison of the effectiveness of each technical indicator, we’ve decided to backtest each of the indicators on their own for the past 5 years. Backtesting involves retroactively testing the parameters of the indicators against historical price action. You’ll learn more about this in your future studies. For now, just take a look at the parameters we used for our backtest. Bollinger Bands (30,2,2) Cover and go long when daily closing price crosses below lower band. Cover and go short when daily closing price crosses above upper band. MACD (12,26,9) Cover and go long when MACD1 (fast) crosses above MACD2 (slow). Cover and go short when MACD1 crosses below MACD2. Parabolic SAR (.02,.02,.2) Cover and go long when daily closing price crosses above ParSAR. Cover and go short when daily closing price crosses below ParSAR. Stochastic (14,3,3) Cover and go long when Stoch % crosses above 20. Cover and go short when Stoch % crosses below 80. Using these parameters, we tested each of the technical indicators on its own on the daily time frame of EUR/USD over the past 5 years. We are trading 1 lot (that’s 100,000 units) at a time with no set stop losses or take profit points. We simply cover and switch position once a new signal appears. This means if we initially had a long position when the indicator told us to sell, we would cover and establish a new short position. Also, we were assuming we were well capitalized (as suggested in our Leverage lesson) and started with an example balance of $100,000. Aside from the actual profit and loss of each strategy, we included total pips gained/lost and the max drawdown. 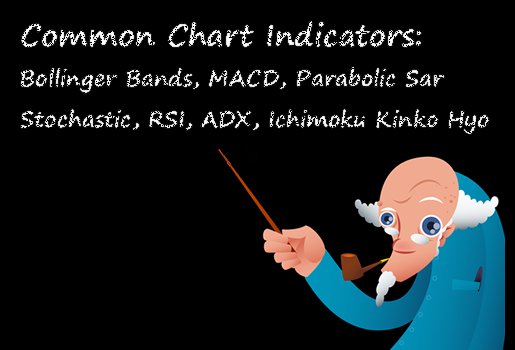 The data showed that over the past 5-years, the indicator that performed the best on its own was the Ichimoku Kinko Hyo indicator. It generated a total profit of $30,341, or 30.35%. Over 5 years, that gives us an average of just over 6% per year! Surprisingly, the rest of the technical indicators were a lot less profitable, with the Stochastic indicator showing a return of negative 20.72%. Furthermore, all of the indicators led to substantial drawdowns of between 20% to 30%. However, this does not mean that the Ichimoku Kinko Hyo indicator is the best or that technical indicators as a whole are useless. Rather, this just goes to show that they aren’t that useful on their own. Think of all those martial arts movies you watched growing up. Aside from The Rock and the People’s Elbow, no one relied on just one move to beat all the bad guys. The Rock used a combination of moves to get the job done. Everything you learn about trading is like a tool that is being added to your forex trader’s toolbox. Your tools will give you a better chance of making good trading decisions when you use the right tool at the right time. Bollinger bands are used to measure the market’s volatility. They act like mini support and resistance levels. A strategy that relies on the notion that price tends to always return to the middle of the Bollinger bands. You buy when the price hits the lower Bollinger band. 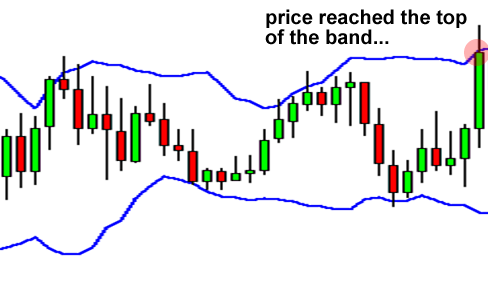 You sell when the price hits the upper Bollinger band. Best used in ranging markets. 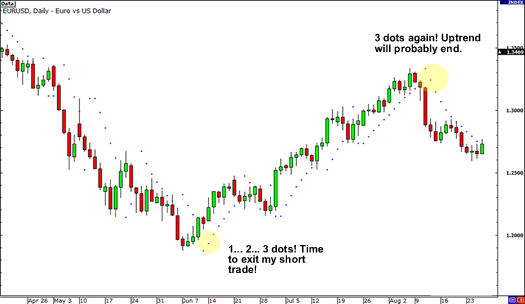 A strategy that is used to catch breakouts early. When the Bollinger bands “squeeze”, it means that the market is very quiet, and a breakout is imminent. Once a breakout occurs, we enter a trade on whatever side the price makes its breakout. 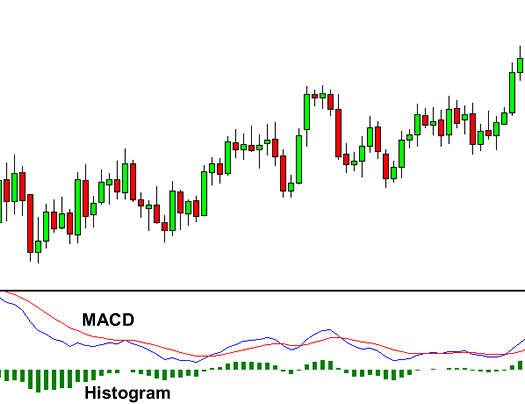 MACD is used to catch trends early and can also help us spot trend reversals. 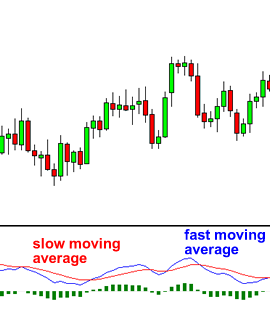 It consists of 2 moving averages (1 fast, 1 slow) and vertical lines called a histogram, which measures the distance between the 2 moving averages. Contrary to what many people think, the moving average lines are NOT moving averages of the price. They are moving averages of other moving averages. MACD’s downfall is its lag because it uses so many moving averages. One way to use MACD is to wait for the fast line to “cross over” or “cross under” the slow line and enter the trade accordingly because it signals a new trend. This indicator is made to spot trend reversals, hence the name Parabolic Stop And Reversal (SAR). This is the easiest indicator to interpret because it only gives bullish and bearish signals. When the dots are below the candles, it is a buy signal. These are best used in trending markets that consist of long rallies and downturns. Used to indicate overbought and oversold conditions. When the moving average lines are above 80, it means that the market is overbought and we should look to sell. When the moving average lines are below 20, it means that the market is oversold and we should look to buy. Similar to the stochastic in that it indicates overbought and oversold conditions. When RSI is above 70, it means that the market is overbought and we should look to sell. When RSI is below 30, it means that the market is oversold and we should look to buy. RSI can also be used to confirm trend formations. If you think a trend is forming, wait for RSI to go above or below 50 (depending on if you’re looking at an uptrend or downtrend) before you enter a trade. The ADX calculates the potential strength of a trend. ADX can also be used to determine when one should close a trade early. For instance, when ADX starts to slide below 50, it indicates that the current trend is possibly losing steam. 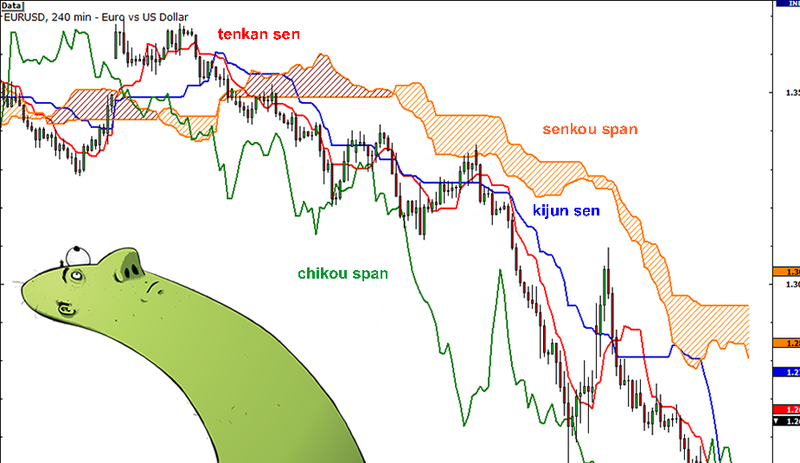 Ichimoku Kinko Hyo (IKH) is an indicator that gauges future price momentum and determines future areas of support and resistance. 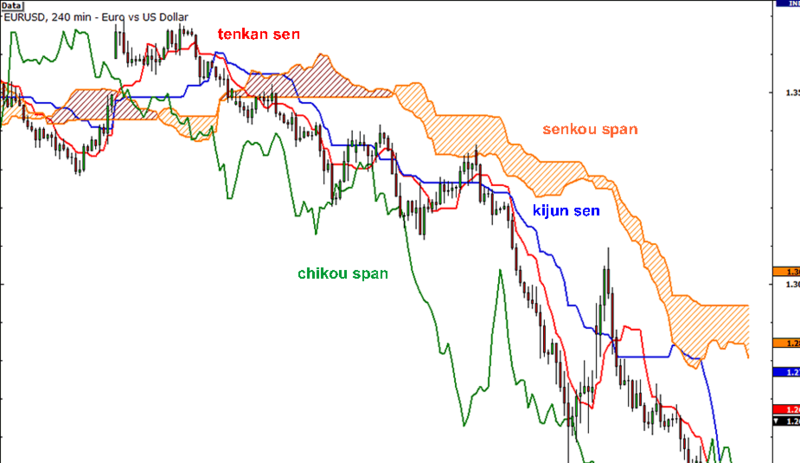 Ichimoku translates to “a glance”, kinko means “equilibrium”, while hyo is Japanese for “chart”. If the price is above the Senkou span, the top line serves as the first support level while the bottom line serves as the second support level. If the price is below the Senkou span, the bottom line forms the first resistance level while the top line is the second resistance level. 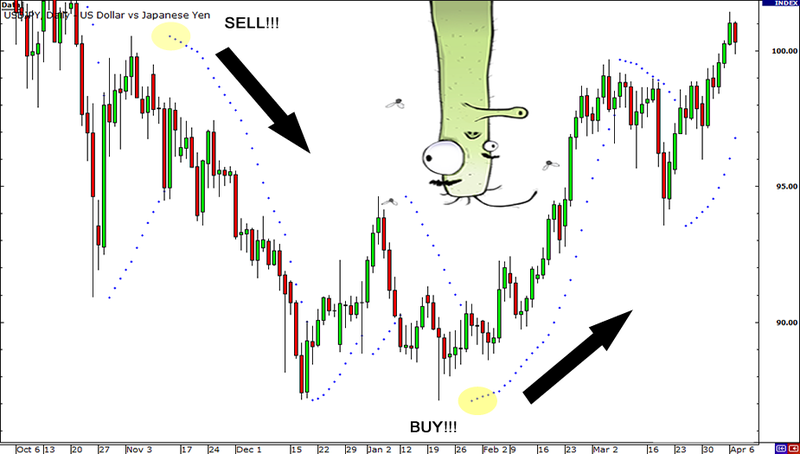 The Kijun Sen acts as an indicator of future price movement. If the price is higher than the blue line, it could continue to climb higher. If the price is below the blue line, it could keep dropping. The Chikou Span is the lagging line. If the Chikou line crosses the price in the bottom-up direction, that’s a buy signal. If the green line crosses the price from the top-down, that’s a sell signal. Each chart indicator has its imperfections. This is why forex traders combine many different indicators to “screen” each other. As you progress through your trading career, you will learn which indicators you like the best and can combine them in a way that fits your forex trading style. find in a few minutes a villa to book by city, many different rooms lofts and villas. has to supply you. The website is a center for every body the ads in the field, bachelorette party? future event or perhaps a group recreation ideal for any age. room equipped for discreet entertainment with a spouse or lover.